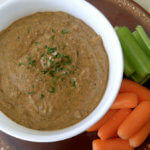 Black bean hummus is a tasty dip which can be served with vegetable crudités, chips or crackers. You can also spread it in a sandwich, perhaps topping it with ham or chicken, as well as shredded carrots. 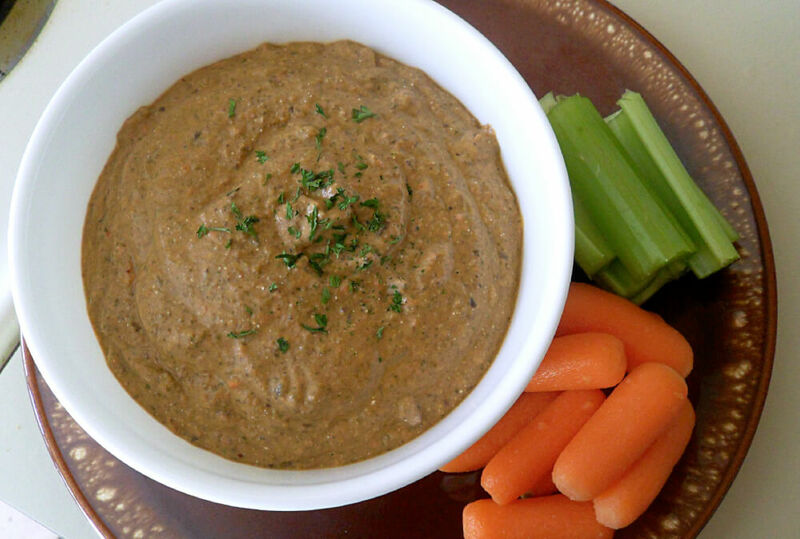 You will need a food processor or blender to make this black bean hummus recipe. The ingredients are whizzed to smooth, creamy perfection and then the hummus dip is ready to serve. You can double or triple the recipe if you are making a batch for a special event or party. Black beans, which are also called black turtle beans, are popular in Latin American cooking. They are vitamin and mineral rich and packed with fibre. Use dried ones (and cook them) if you can't find the tinned kind. This is a speedy recipe to put together because you don't need to cook anything. Put the tahini, garlic, beans, water, cumin, lemon juice, salt and cayenne pepper in a food processor. You can use a blender if you prefer. Process these ingredients together until smooth. Scrape down the sides when you need to. You can also adjust the seasoning to taste if needed. Serve garnished with paprika and the Greek olives.